Beautiful card Leticia! And loving Esther's layout, all that color!! LOVE!!! 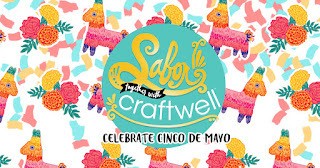 Thank you Yolie... we love Sabor Papel! I just so love the card, layout, and colors! Bright and beautiful. 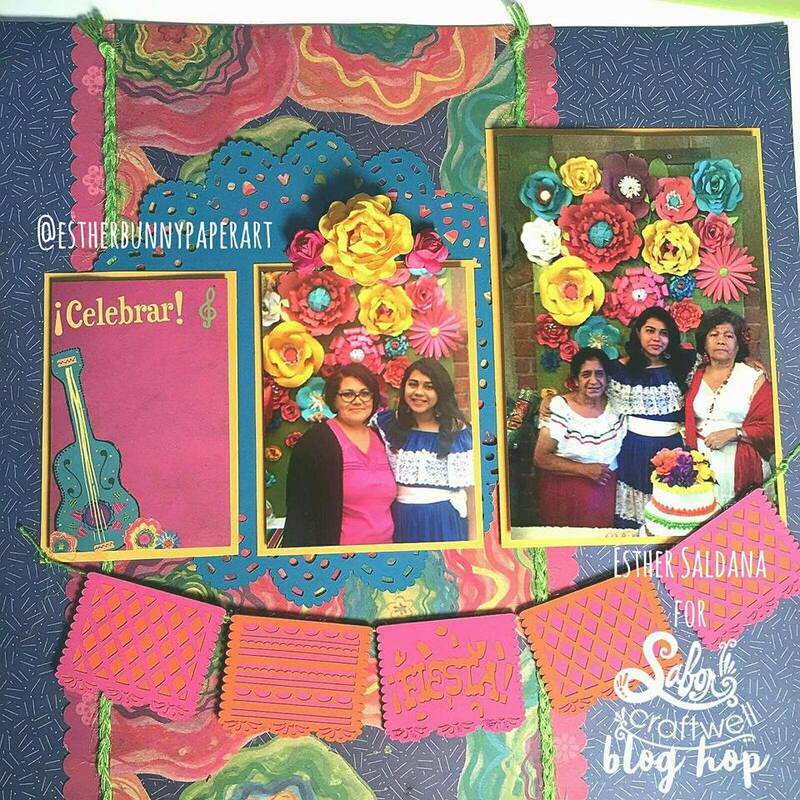 Such a beautiful layout with bright pretty colors and fabulous dies! Beautiful card! Love all the texture and fringe!! Loving all the color and banner in the SB page too! Well done ladies!! I love the card with the colors. Your scrapbook page reminds me of trips to Mexico. Thank you! Very colorful and cute projects! The colors on these pages pop! Beautifully and artistically done! Absolutely gorgeous. Just love your stuff. Beautiful card. Thanks for sharing and inspiring. I always love new ideas. Such a Frieda fan! Love the colors! Love the card & layout. Fantastic work. Both of the projects are so beautiful! I absolutely love the fringe details on the card, such a fun embellishment. The layout is so pretty with the colorful banner and flowers! Awesome job on both of the creations! New follower of your blog and looking forward to more inspiration! Love your designs and all the bright colors, it's definitely a Latin flair. My husband is Brasilian, and it reminds me of Carnival in Rio! Leticia, love your project -- the colors are so rich! 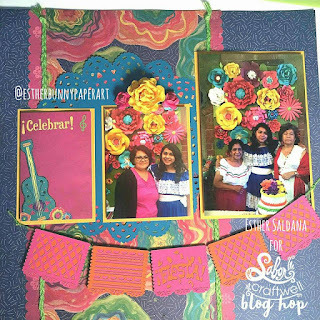 Love your gorgeously colored, fringed card and Esther's gorgeous layout!! This is such a fun blog hop!! Happy Cinco de Mayo!! Love your designs on project!! the colors are beautiful, everything looks great together. Love your card, the fringe looks so cute. The layout the banner is too cute the colors make me smile. 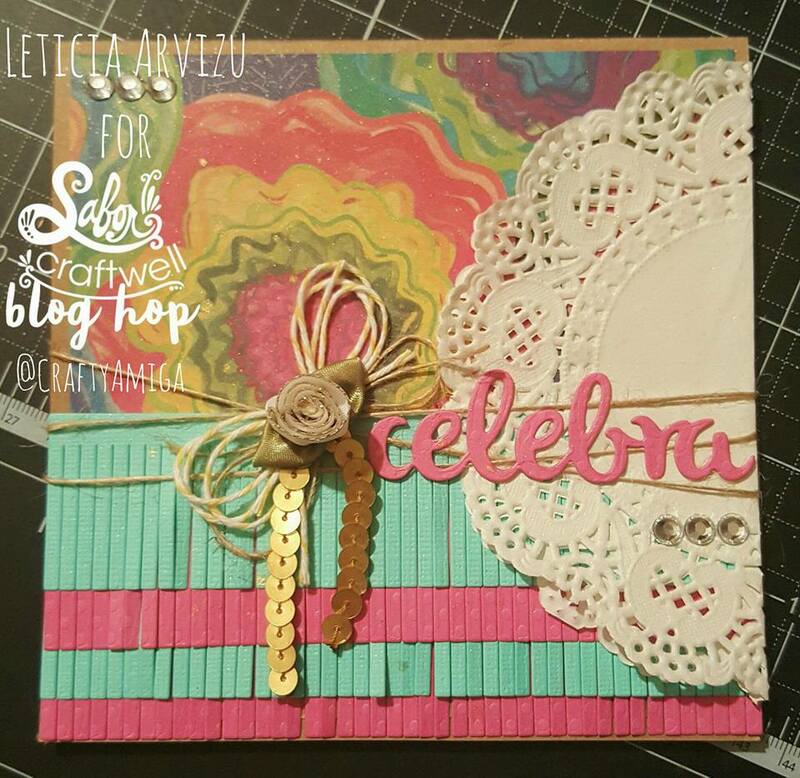 A fabulous card and beautiful LO! 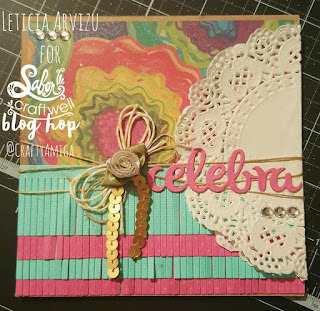 very beautiful, fun blog hop!!! Leticia, me facinó tu tarjeta y página de album! I'm fascinated with your card and layout! Awesome! Finding so many great blogs in this hop! Woohoo! I agree it's about time that we have the wonderful! Also what a beautiful layout! I'm excited over Sabor Papel too. Beautiful papers to make cool projects with! Love your layout! The creativity you both have used to create your card and scrapbook page is amazing. The textures and variety of supplies you both use to make to such beautiful things inspires me! Beautiful card and scrapbook page! Great layering and details!